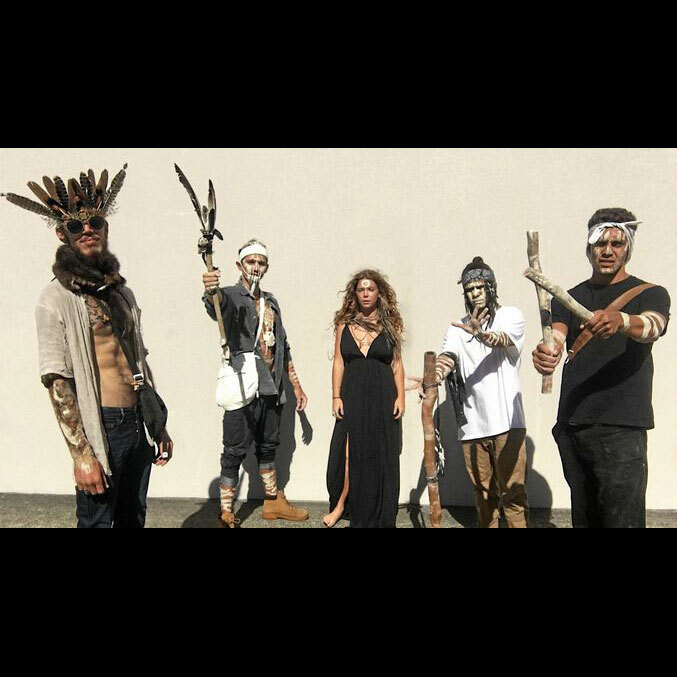 Based in Byron Bay, INDIGENOISE are a clique of Indigenous poets, artists, producers, musicians and practitioners. The five-piece featuring Coedie McCarthy, Minjarrah Jarrett, Roslyn Barnett, Jannali Doncaster and Benjamin Robinson, all who carry mixed ancestry, represent the 4 nations. Giving voice to indigenous youth from all different backgrounds, INDIGENOISE have also taken audiences by storm with a show that powerfully brings together the worlds of traditional ceremony and dance with contemporary Hip Hop. The band have also released the fourth single from the album ‘One Mob’ and the companion video. ‘One Mob’ is the celebration of all people of earth. ‘We may be separated by race, religion and sexuality but we are united as human beings. One Mob is our anthem to sing up EVERY human’s experience.’ The music video is also a collection of just that. With people from all over the world and all walks of life being proud of who they are and representing themselves with love.